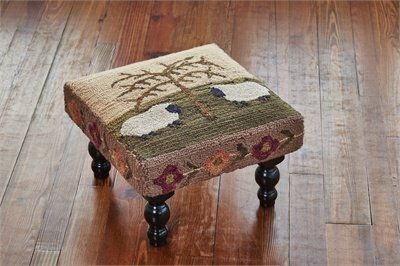 Our new collection of hooked benches and stools features the same handcrafted technique and designs of our top selling rug program. Made of poly loop yarn, each piece is hand hooked using an electronic gun. Many of the pieces feature space dyed yarns to create natural variations in color pattern found in the antique pieces that provided the design inspiration. Legs are shipped unattached. Minimal assembly required.